When you initially set out on your journey to market your brand, product, or service, you may be tempted to jump right in, going after everyone who is willing to listen or could even be remotely interested in what your business has to offer. While getting your brand out there is essential to driving business, going too broad can water down your message. 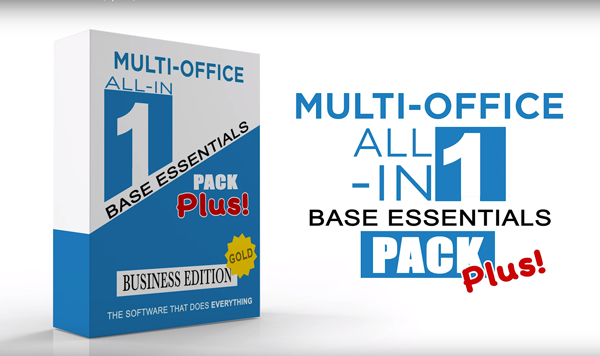 Software review site, Capterra, does a hilarious job of driving this point home, spoofing “Multi-Office All-in-One Business Software – Gold Edition.” Afterall, why be laser-focused on 1 thing when you can be regular-focused on 216? When it comes to marketing and dominating your niche, there’s no time to play games. Pick an audience and put a ring on it to get the maximum ROI out of your marketing spend. Even if your product or service can be tailored to fit many segments, it pays to put your stake in the ground and commit to one ideal buyer. Instead, your agency decides to get specific. You decide to commit your focus to higher education, narrowing your target marketing and focusing on one ideal buyer – John, the CMO of a university. You get even more specific and focus on what your agency does best – digital marketing. Now your message becomes: “Driving enrollment and increasing student ROI by helping universities get found online.” It hits home for your target audience – John the CMO – positioning your agency as the go-to when it comes to optimizing .edu websites for search. Save money and time by narrowing down the focus of your target audience enough to make your message resonate with a smaller group. Although your market is smaller, you have a better chance of attracting the right buyer. Refine your marketing message to speak to your ideal buyer. Think about how your content strategy can tap into the pain-points of your ideal buyer and help them to solve a problem. Address the needs of your audience in your product/service. Build for your ideal buyer – and no one else – to create raving fans and loyal customers of your business. Create a customer experience that best fits your ideal buyer. For instance, if your ideal buyer is in the older demographic, they may prefer phone support to live chat or social media. Back to our marketing agency example, once you’ve committed to serving John the CMO, you leverage his pain-point. John the CMO has a tough time managing his university’s social media presence because so many participants (students, faculty, departments) are involved. So you create a free social media brand guide for higher education. The guide helps generate leads right in your target market. On the product and service side, you decide to create a custom social listening tool that your clients can leverage to stay connected to everything faculty, staff, students and alumni are saying about their university brand. And, when it comes to client service, you know that your ideal buyer has to consistently prove ROI of marketing programs to university stakeholders. So as part of your ongoing support, you email your clients a report on their top benchmarks every week. Putting John the CMO at the center of everything you do narrows your target market, but also allows your agency to be infinitely more successful at driving leads, winning new clients and making sure they stick with your agency for a long time. Once you’ve committed to your ideal buyer, follow through by integrating them into your business from product development to marketing to customer success. You’ll be rewarded with better leads, more customers, and increased customer lifetime value. Now that you’ve committed to your ideal buyer and have aligned your business to them, you’re going to find yourself with some raving fans. Leverage your most enthusiastic customers to attract even more customers who are just like them. Run a referral campaign to ask your supporters to send new business your way. Reward them with incentives like discounts, perks and even cash money. Ask for reviews. If your business is on Yelp, if you have a Google listing, or if your industry has specific review sites, it can really pay off to have your customer’s voices heard there, sharing their positive experience. Give thanks where thanks is due. When you go above and beyond for your biggest fans, they are sure go the extra mile for you – whether it’s providing a testimonial, participating in a case study or being a reference. Market segmentation can feel like a big undertaking, and can seem like a big risk since you limit your audience. However, narrowing your target market can actually give you a better chance to reach more people with a targeted message. Put your stake in the ground and commit to an ideal buyer, align your business to their needs, and mobilize your evangelizers to penetrate and conquer your niche.